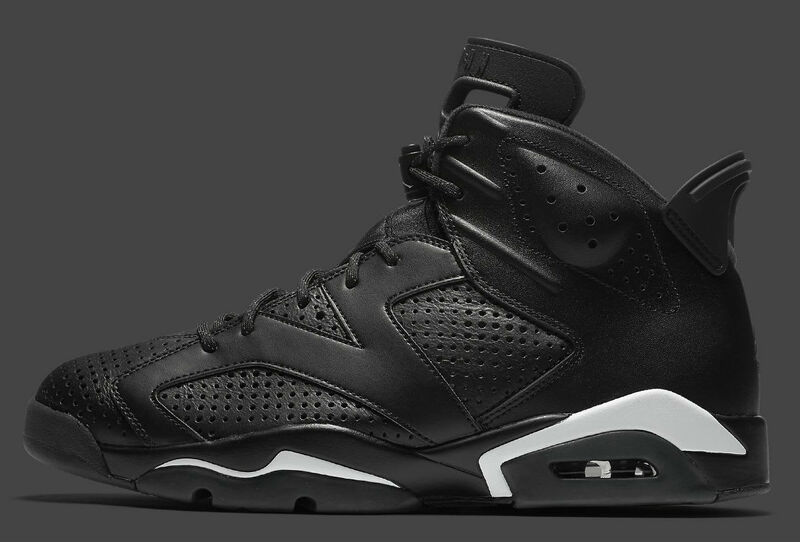 Photos of the year's final retro continue to surface. 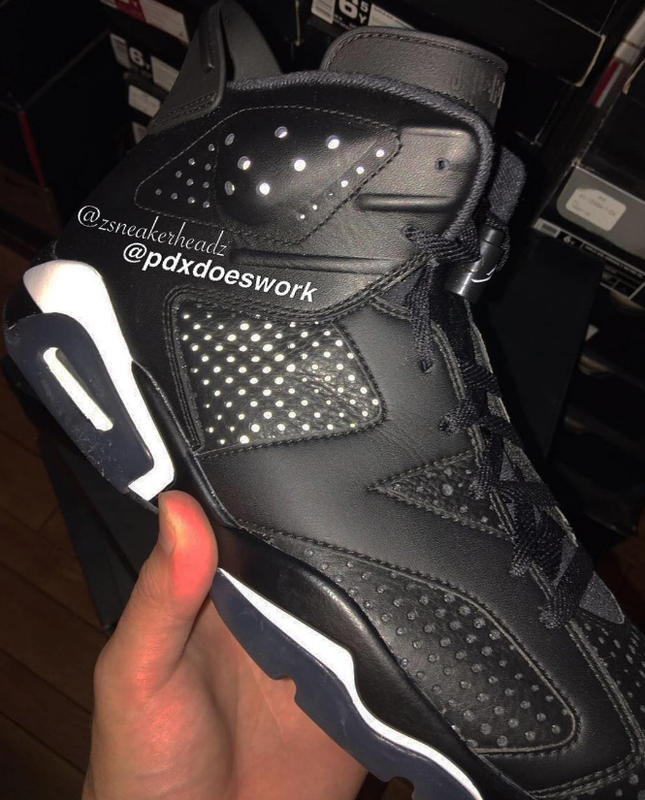 Remember the news that broke in March of a "Black Cat" Jordan 6 releasing on New Year's Eve? 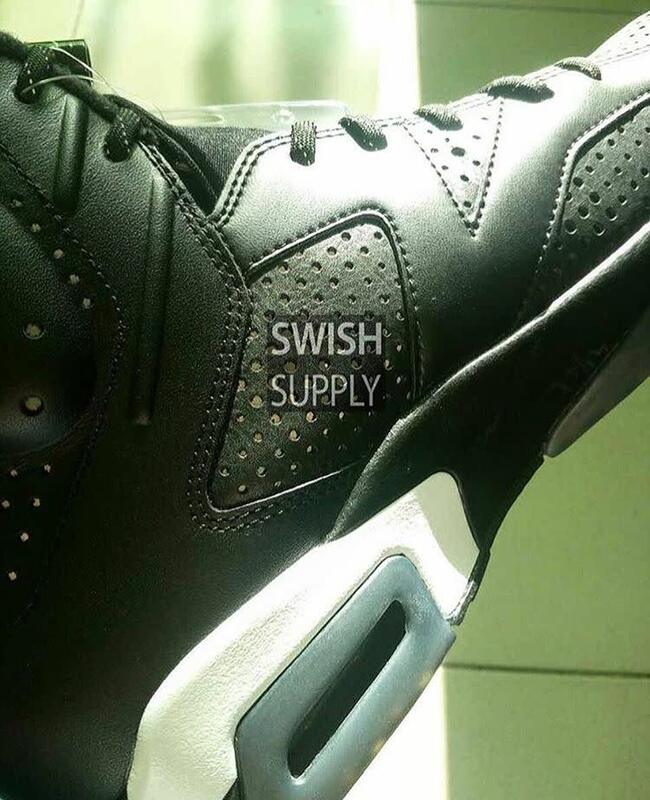 The shoe revealed in these leaked images just might be that pair. 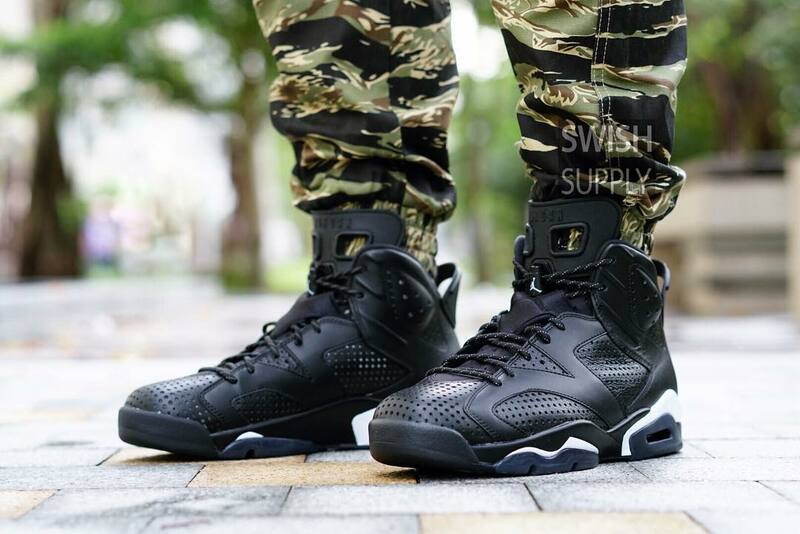 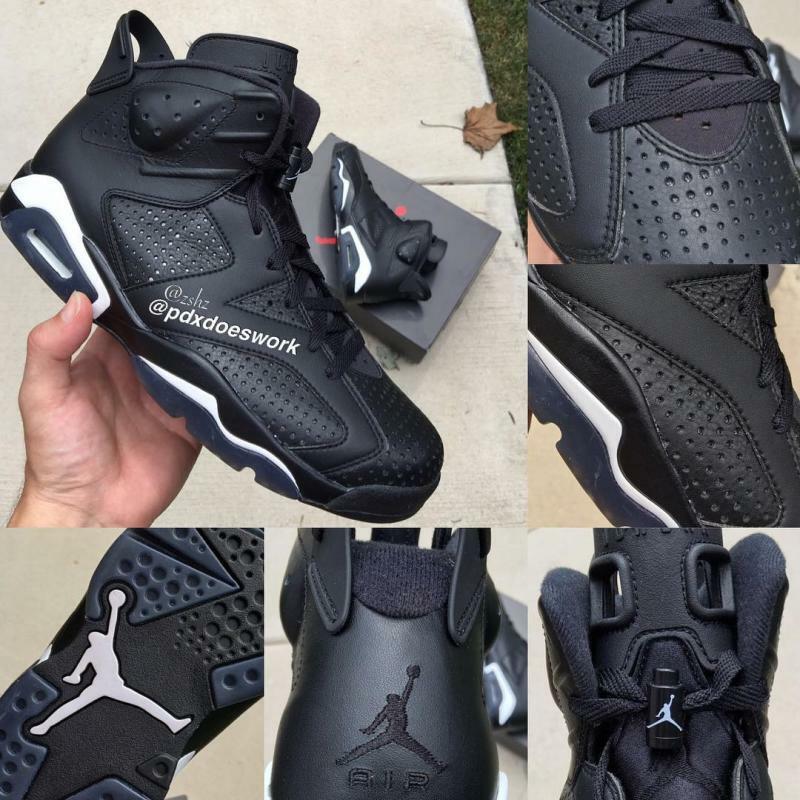 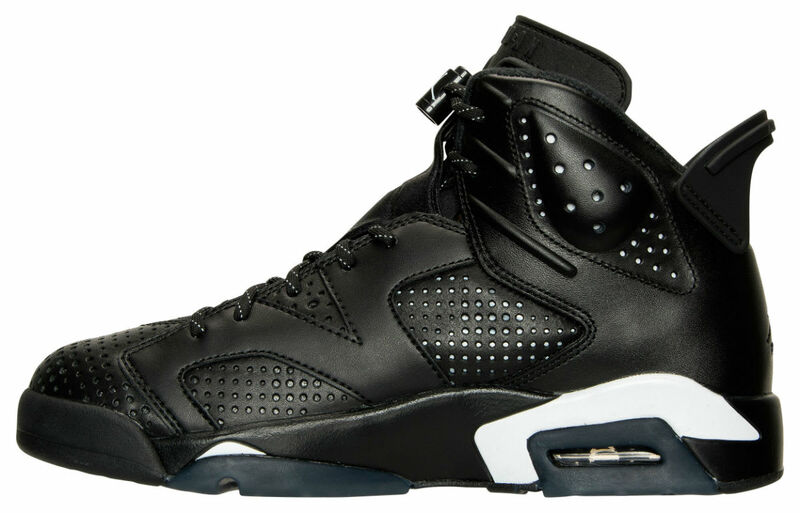 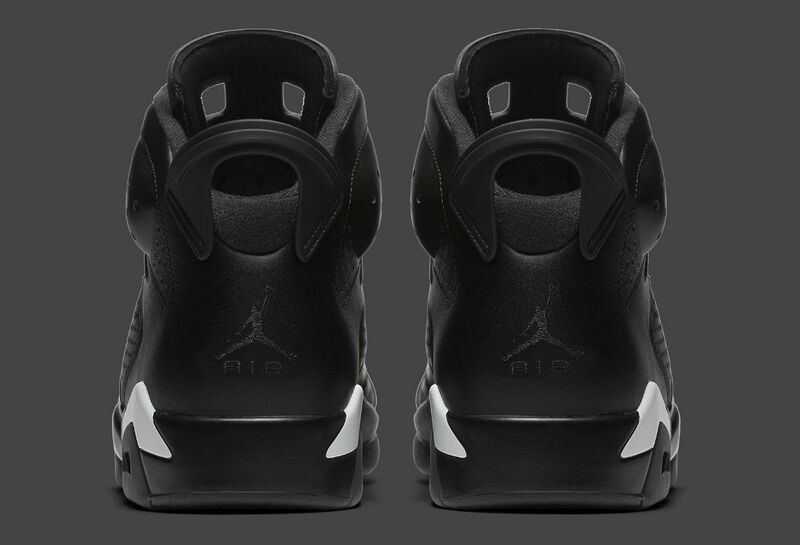 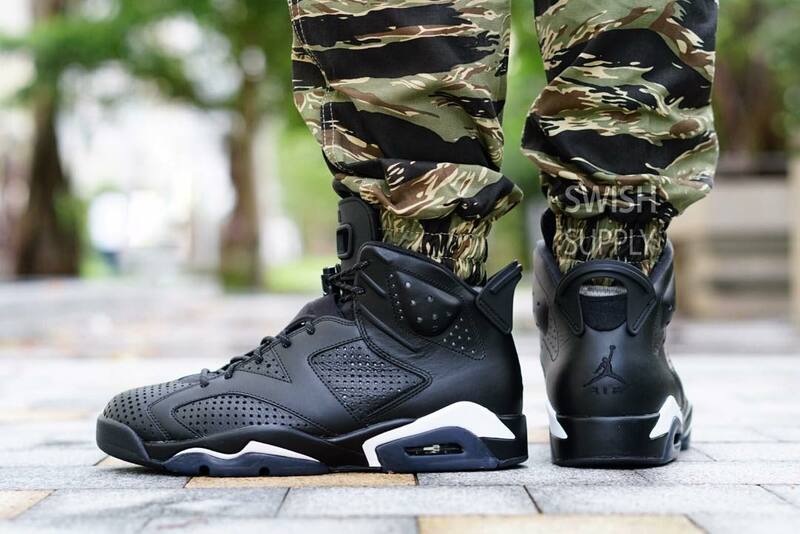 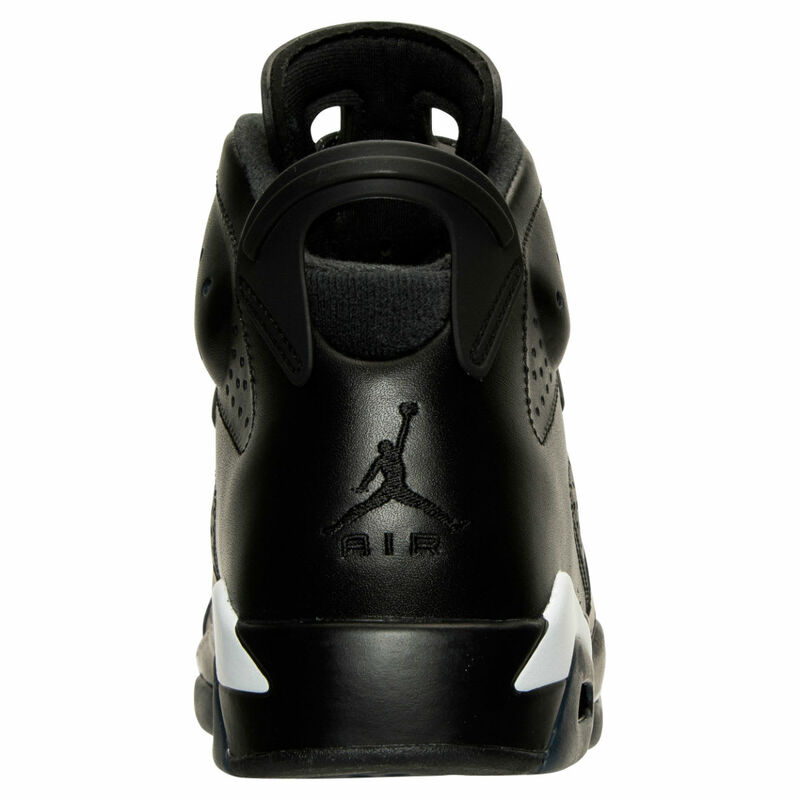 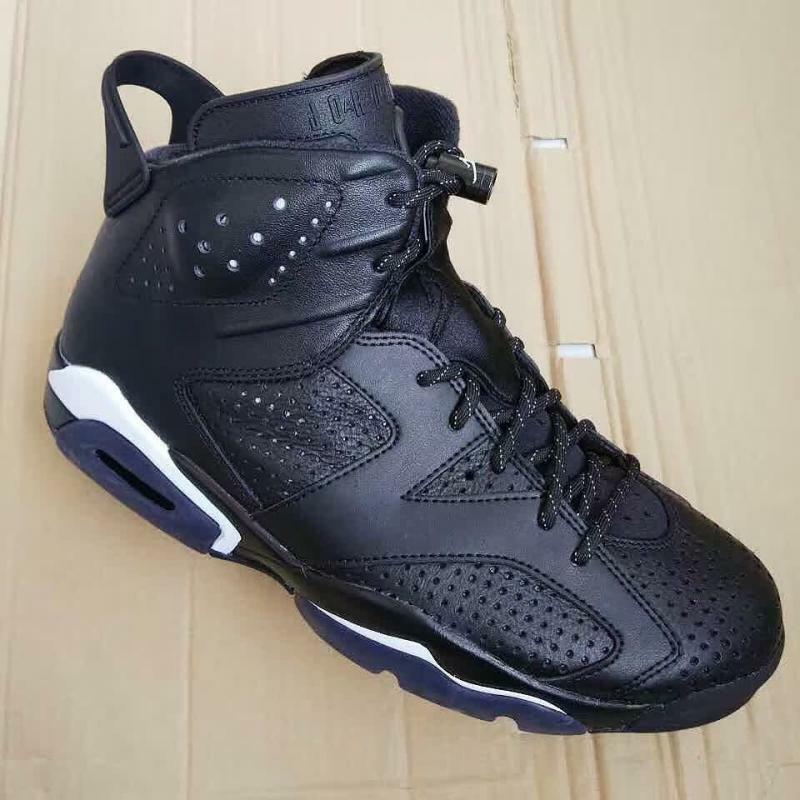 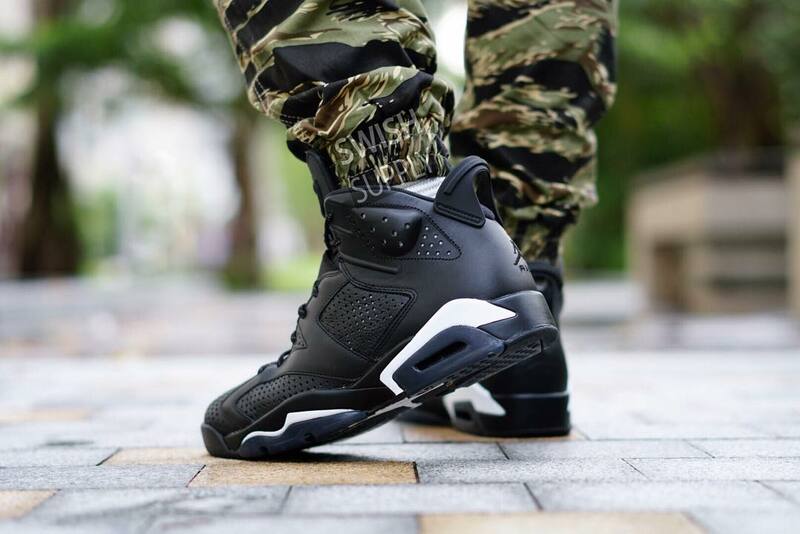 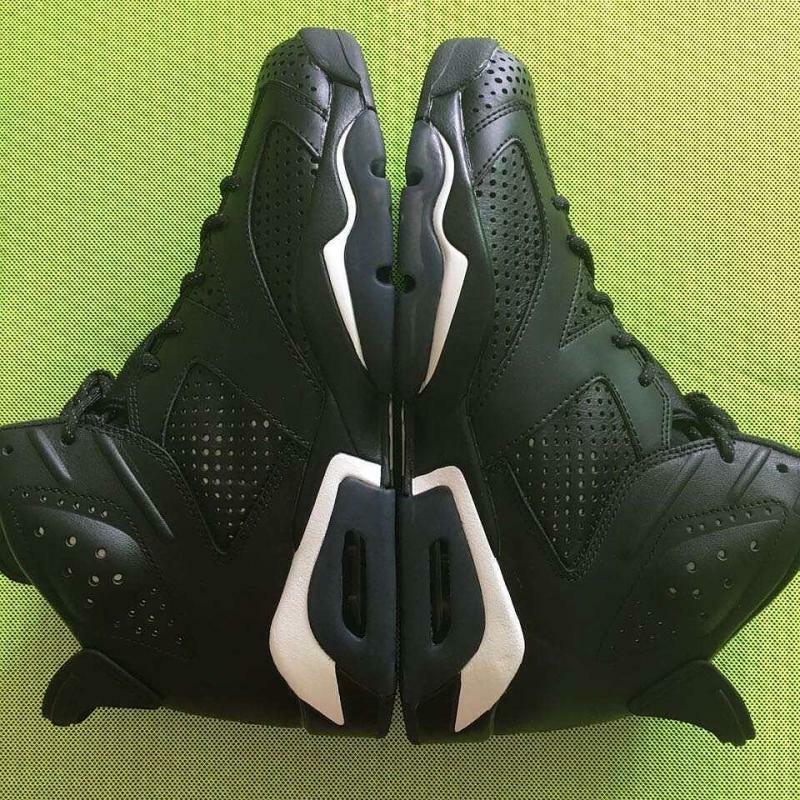 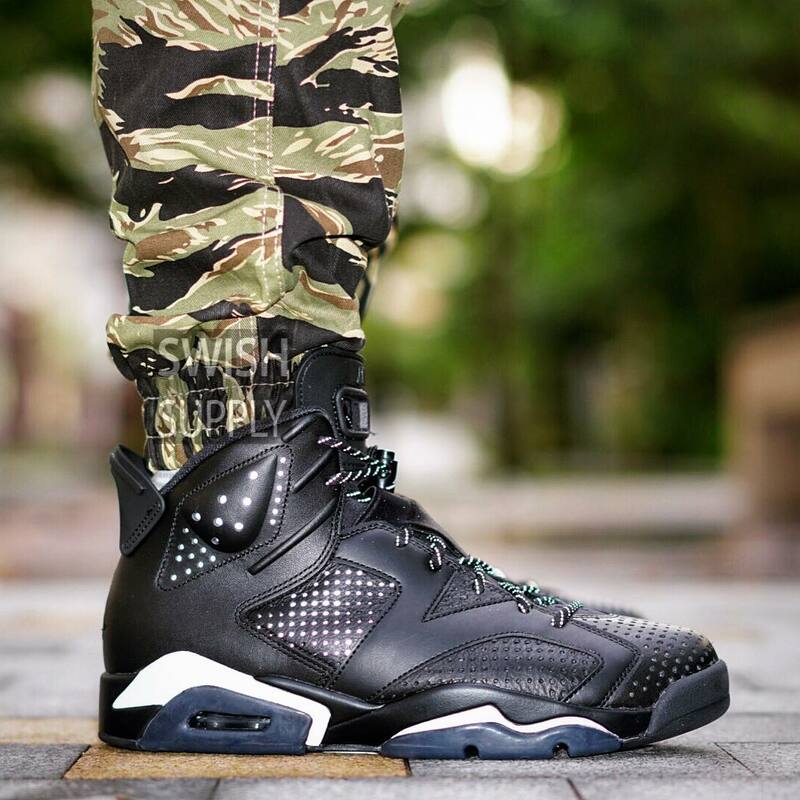 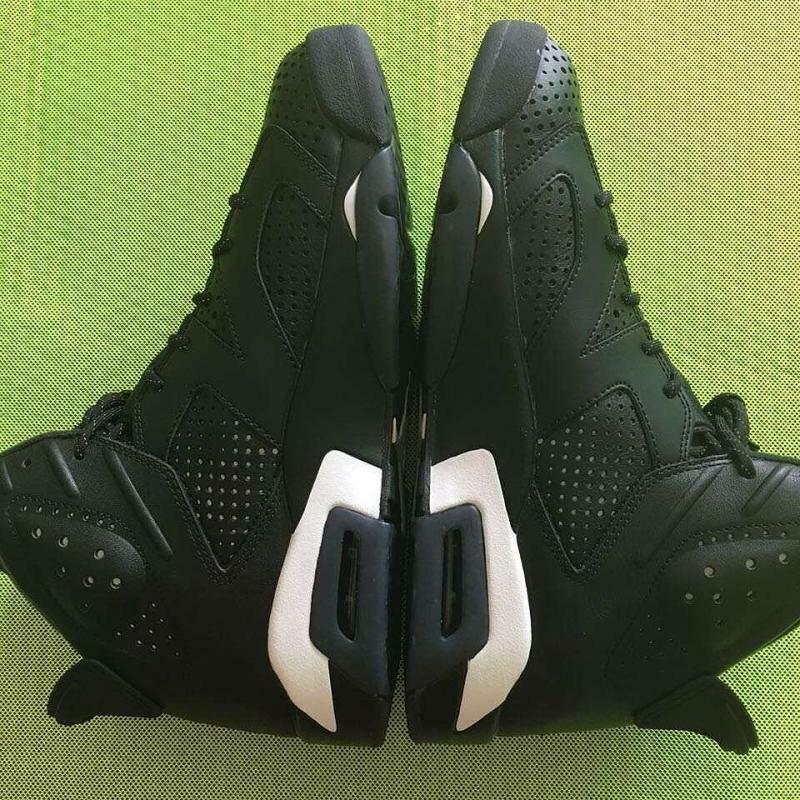 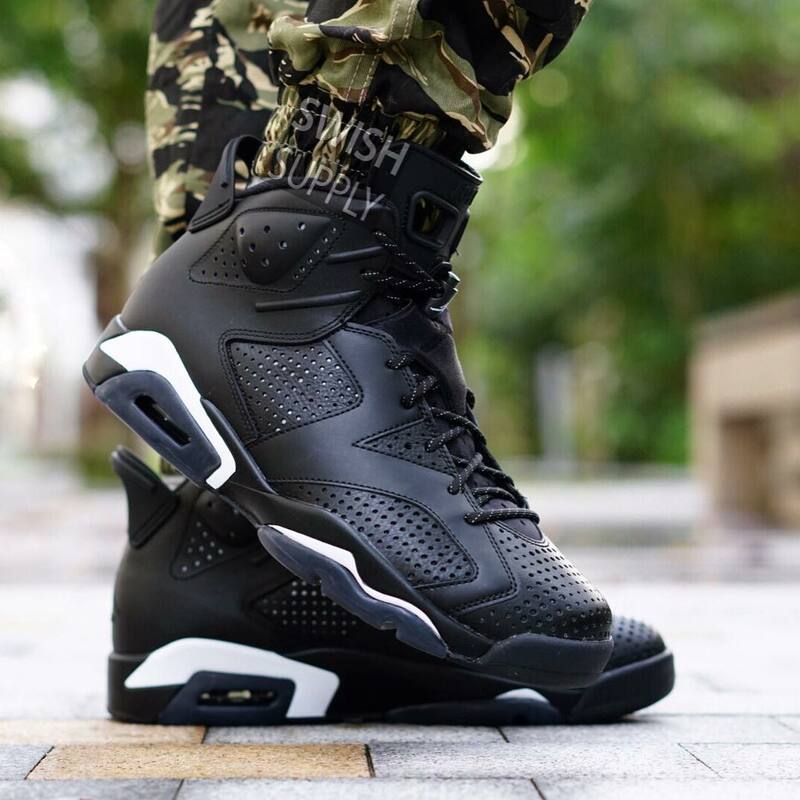 Shown is a black Air Jordan 6 with a very thorough perforated treatment on its upper. 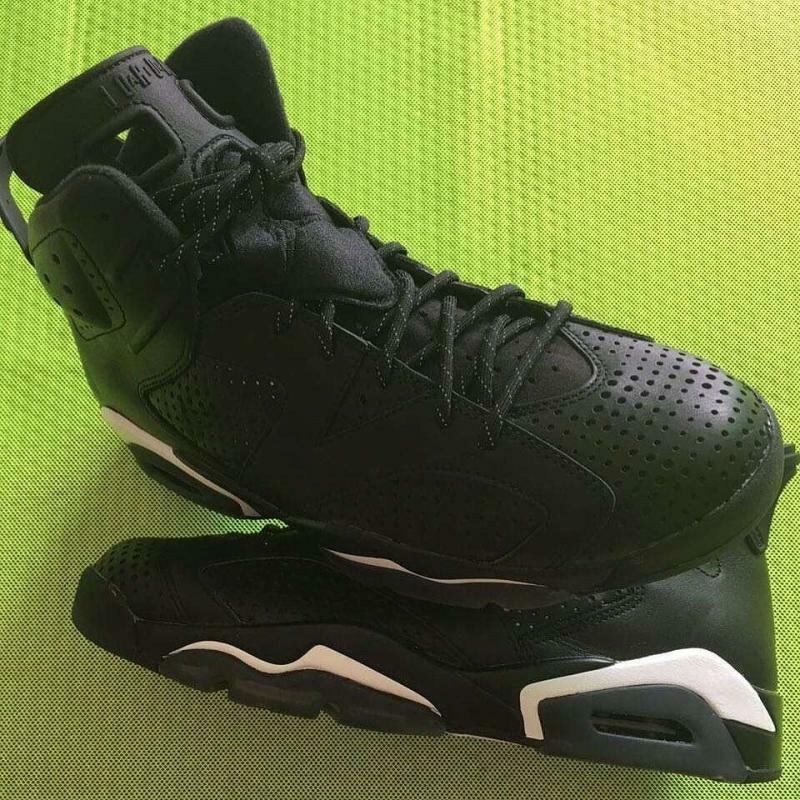 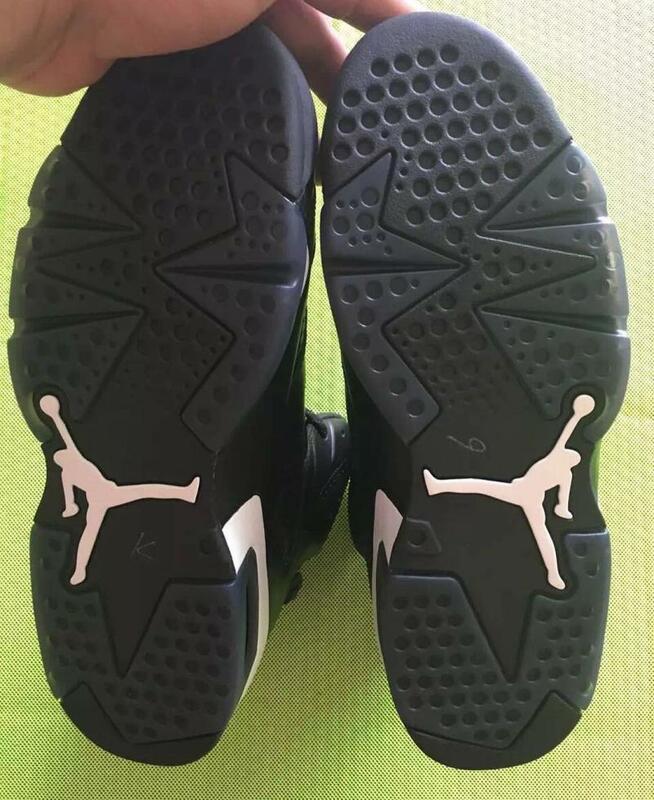 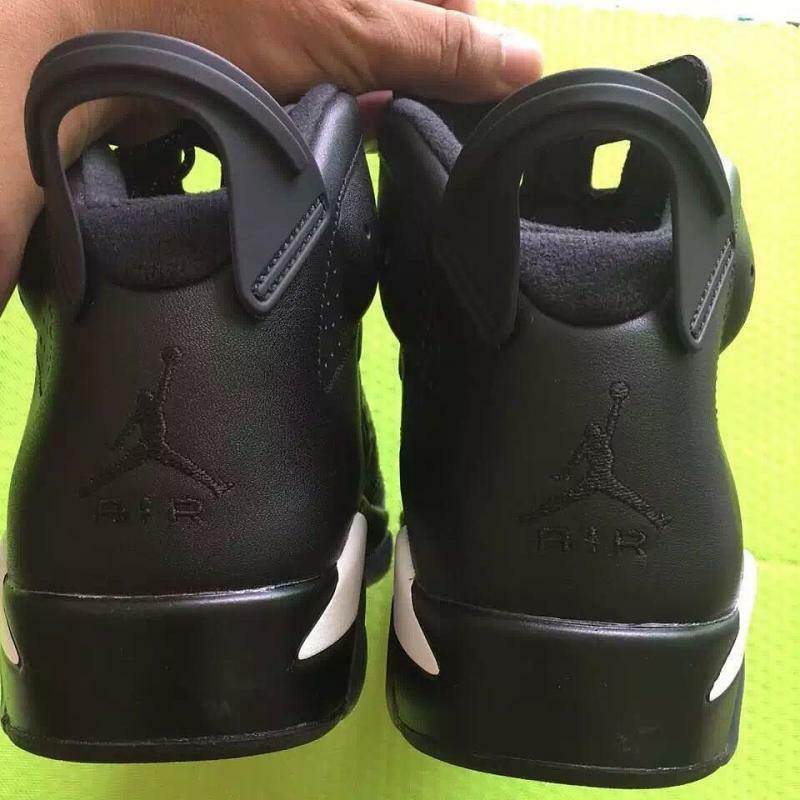 The shoe does have white on its midsole, which isn't in line with previous "Black Cat" pairs, but it was never mentioned that the "Black Cat" Jordan 6 was going to be all-black. 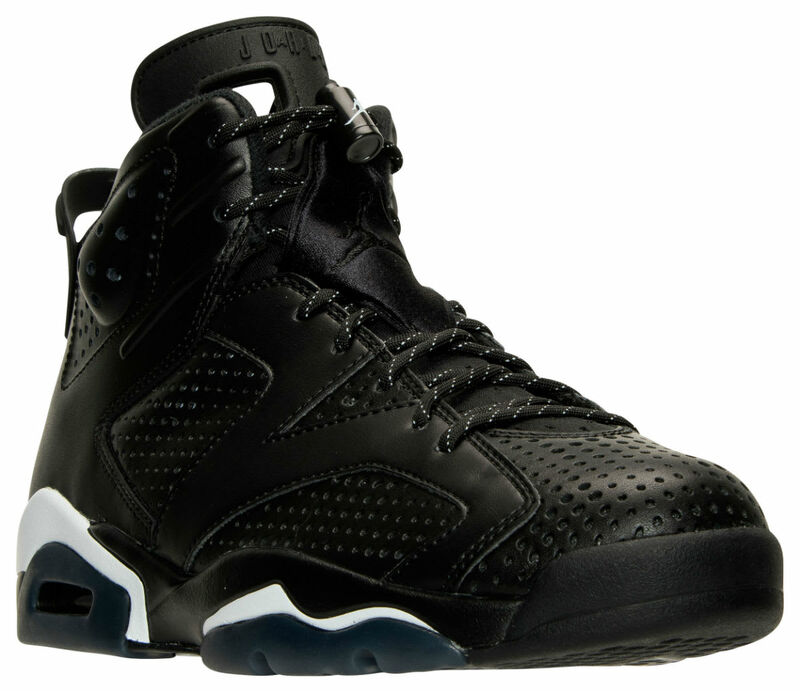 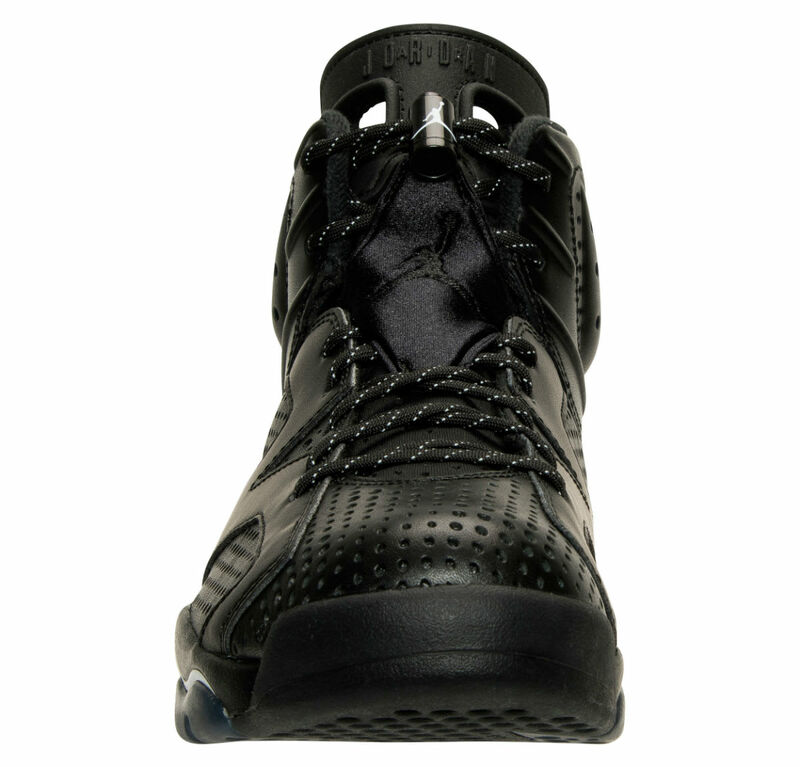 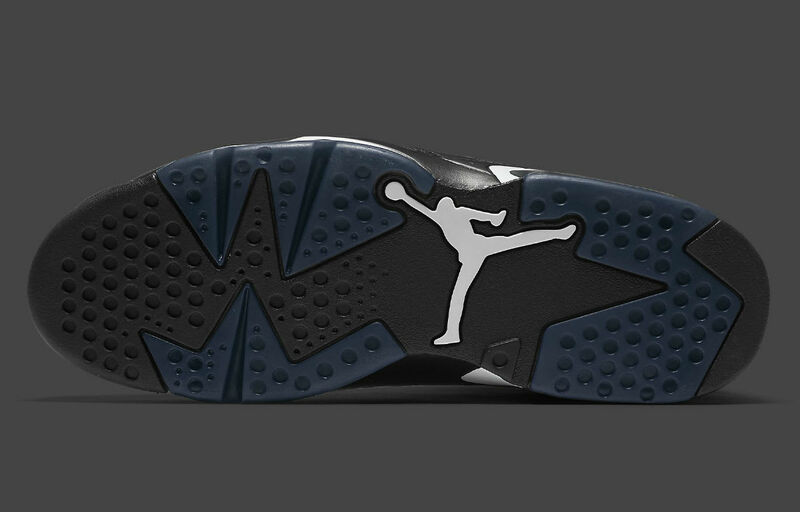 Also unlike previous "Black Cat" Jordan releases is this shoe's use of an all-leather upper. 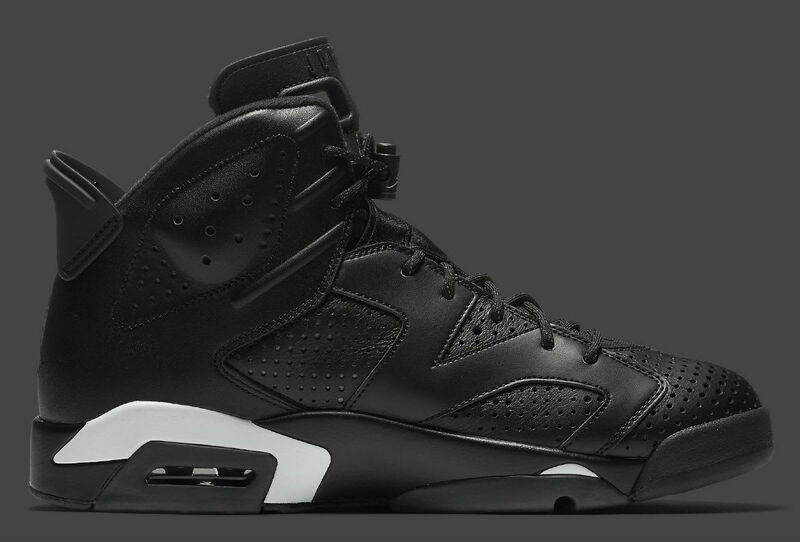 The "Black Cat" Jordan 6 will release on Friday, Dec. 30 for $190. 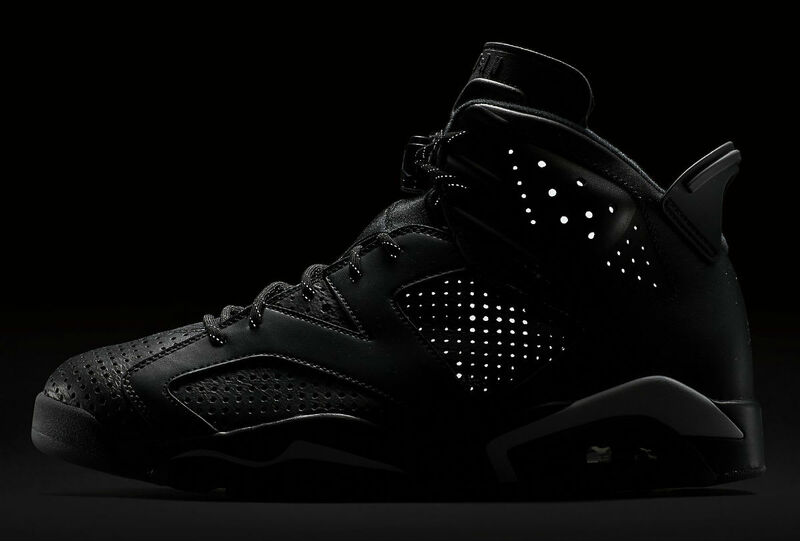 UPDATE 12/22: Official images of next week's "Black Cat" Air Jordan 6 Retro via Nike. 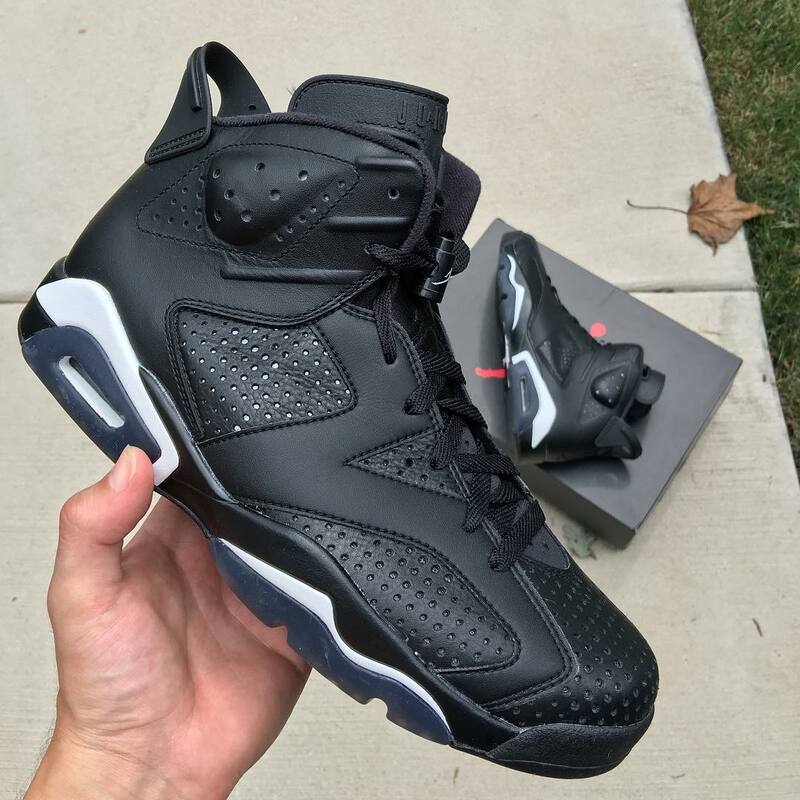 UPDATE 12/18: Product images via Finish Line. 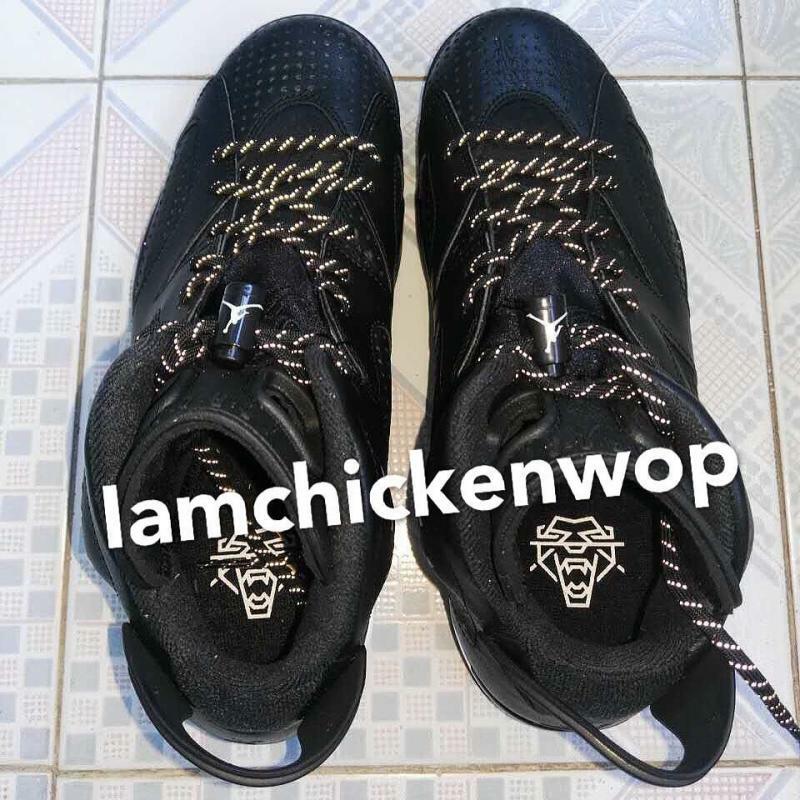 UPDATE 8/4: New on-foot images of the "Black Cat" Air Jordan 6 Retro releasing this Dec.
UPDATE 7/23: New images via pdxdoeswork, iamchickenwop & zsneakerheadz. 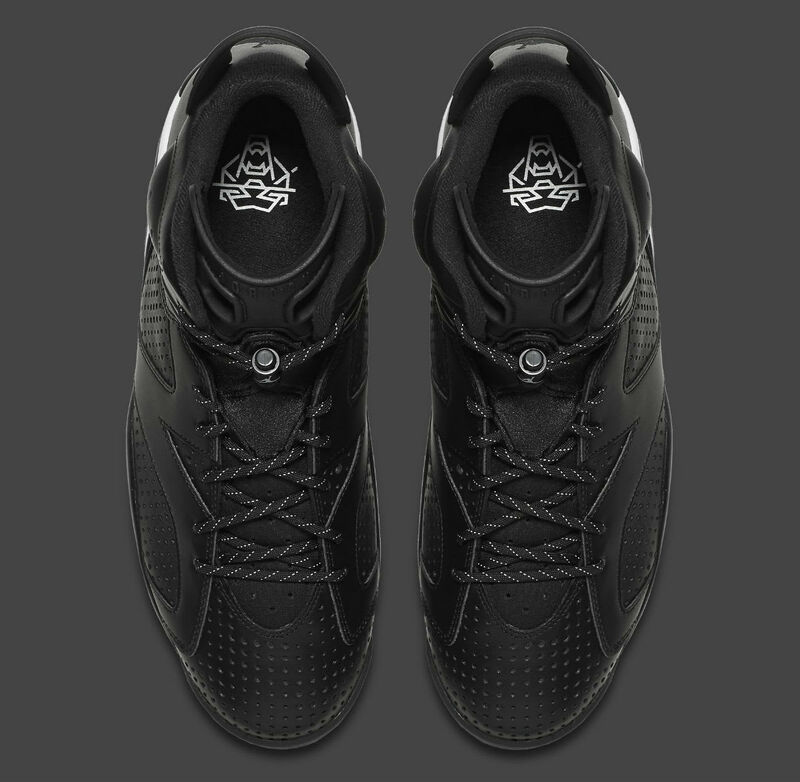 The biggest takeaway from this set is that actual cat logos printed on the insoles likely confirm the "Black Cat" inspiration.